Non-Hodgkin’s lymphoma isn’t a cancer we hear about often, but it’s actually quite common in the United States. The disease makes up about 4% of all cancers in the country, and the American Cancer Society estimates that about 75,000 people will be diagnosed with it this year. 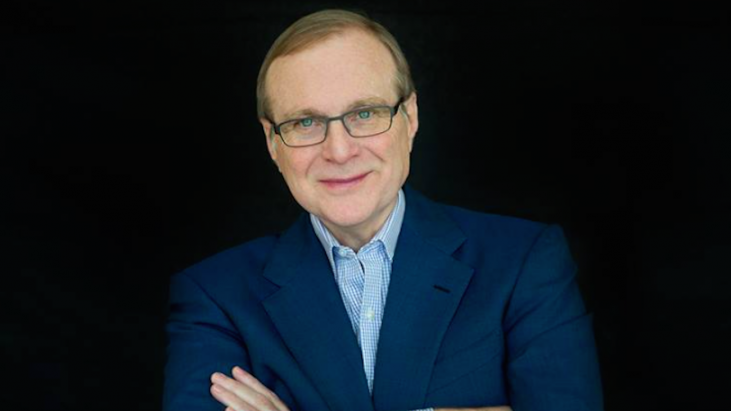 Microsoft co-founder Paul Allen, who was 65 when he passed away from the disease, was quite young (half of people facing non-Hodgkin’s lymphoma are over age 66) … and he’s actually been dealing with cancer for a few decades. He was first diagnosed with Hodgkin’s disease when he was 29 years old in the early 80s. He battled non-Hodgkin’s lymphoma in 2009, and announced on Twitter in October that it had returned. After his initial diagnosis in the 80s, and because of issues he and Microsoft co-founder Bill Gates were having at work, Allen left Microsoft in 1983. His cancer went into remission, and he spent the next few decades buying sports teams (the Seattle Seahawks and the Portland Trailblazers), buying yachts, and making a huge impact with his philanthropic efforts. Allen’s death at 65 reemphasizes the fact cancer doesn’t discriminate … and money can’t always protect you. He’s not the only big name to face non-Hodgkin’s lymphoma either. Former First Lady Jackie Kennedy was diagnosed with non-Hodgkin’s lymphoma in 1994, and passed away from the disease a few months later. Actor Gene Wilder also faced the disease in the 90s, though his went into remission after chemotherapy and a stem-cell transplant. Because non-Hodgkin’s lymphoma is a unique disease with about 80 different subtypes, there are many factors that go into trying to predict how well someone with the disease will respond to treatment. Researchers have made some really amazing progress towards treating aggressive non-Hodgkin’s lymphoma with CAR-T therapy – which involves training the body’s own T-cells to attack cancer cells. But like many of the most promising areas of today’s cancer research, much work still needs to be done.